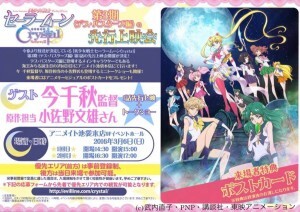 An image was posted on the SailorMoonWorld.it Facebook Page which announced a special March 6th event which would screen the first new episode of Sailor Moon Crystal, likely to be named Act 27, Infinity 1 – Premonition, if the naming convention used for the first 26 episodes continues. 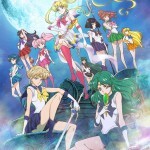 This was confirmed on the Evil Line web site and Sailor Moon Official Site. This does not mean that the first episode will be available to fans on March 6th. 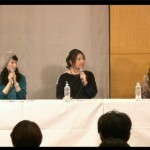 We have only heard that the series will be released in “April” with no more specifics. This event, which takes place in Japan, will have very limited space, so I don’t expect many readers will be lucky enough to attend. The event will take place on March 6th and include two screenings, one at 5pm and the other at 7pm, both in Japan Standard Time. This corresponds to 3am and 5am Eastern Time, if anyone cares to know the exact time something is happening on the other side of the planet they aren’t able to take part in. 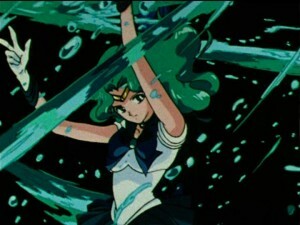 The event is meant to coincide with Sailor Neptune’s birthday, as Sailor Uranus, Neptune and Saturn will be seen in the upcoming episodes. If you would like to try your luck at attending, and are in the area, you can fill out the form on the Evil Line site for information on how to attend. I put my name, age and e-mail address in the form but did not receive an immediate response. If I get anything worthwhile I will share it on the site. 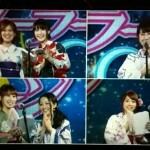 Source: SailorMoonWorld.it Facebook Page, Evil Line web site and Sailor Moon Official Site. 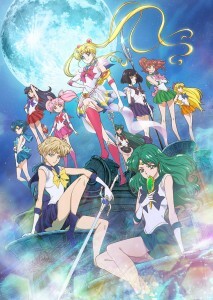 This entry was posted in Pretty Guardian Sailor Moon Crystal (2014) and tagged Japan, Sailor Moon Crystal Act 27 - Infinity 1 - Premonition - First Part, Sailor Moon Crystal Phase 3 - Infinity, Sailor Neptune by Adam. Bookmark the permalink. Here’s hoping the visuals are up to snuff. Sloppy art was a big critique of SMC’s first season, and one of the reasons we all feared cancellation. Hey, by the time the new episodes come out, we’ll be through the Black Moon arc with Crystal’s English dub. That’s pretty awesome, wouldn’t you say? What’s wrong with women holding hands with each other? they’ve been lesbians since the manga. I think you’re a tad homophobic. This is part of SM magic and I wouldn’t change a thing! They are Lesbians you homophobic dumbass. No they aren’t cousins, only in the first English dub. In the original they are not related in any way. I recommend watching either the original Japanese or the newer English dub. They are both much better than the first English dub. Welcome to the fandom though. I love Uranus and Neptune. This is the reason why I was drawn to SM’s world because of the acceptance and celebration of all genders. I am disappointed with the new art style but this is also my favorite season of the original. Hopefully the story is written better in this season than the first two. I haven’t finished most of crystal while I like the pacing the overall story development and character development is not that great. I wish they gave crystal each story arc/season at least 26 to 30 something episodes. This way they could really develop the characters and story. As it feels so far after the first story arc their relationship feels forced, not that the original 90’s version made it that much more realistic, but at least it felt more organic. In the Infinity Arc, I wonder if Rei is still a hothead as she was in the original anime unlike the first 2 seasons of Sailor Moon Crystal? Crystal Rei is based off the manga and will continue to be based off the manga, so no, she wont suddenly change to her anime persona. Okay. Didn’t Usagi and Chibiusa ever argue in Sailor Moon Crystal just like in the original anime, the way she argued with Rei? 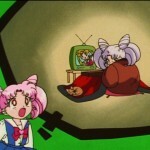 Didn’t Usagi and Chibiusa ever argue in Sailor Moon Crystal just like in the original anime, the way she argued with Rei? It would be good if you’ll mention CET time as well. Hey I’m in for that event I’ll watch it to.